Maria Martinez of San Ildefonso, born 1887, is considered to be the matriarch of contemporary San Ildefonso pottery. 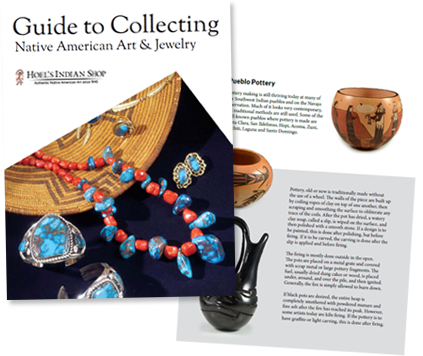 She and her husband, Julian, revived the art of Pueblo pottery in the early 1900s, and were also some of the first Native American artists to sign their pieces. 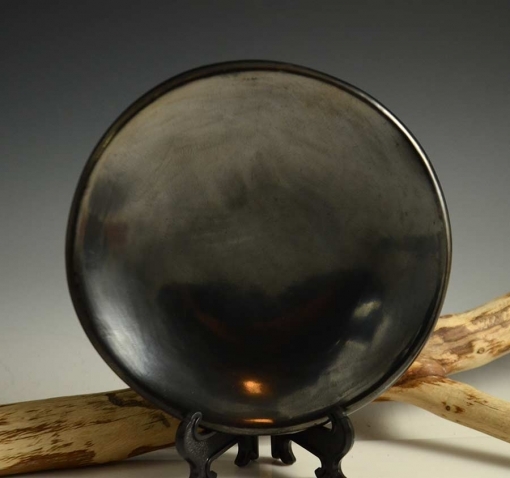 A very good listing of her hallmarks can be seen in Richard Spivey’s book, Maria. Maria learned the art of pottery from her aunt Nicolasa in the late 1800s. 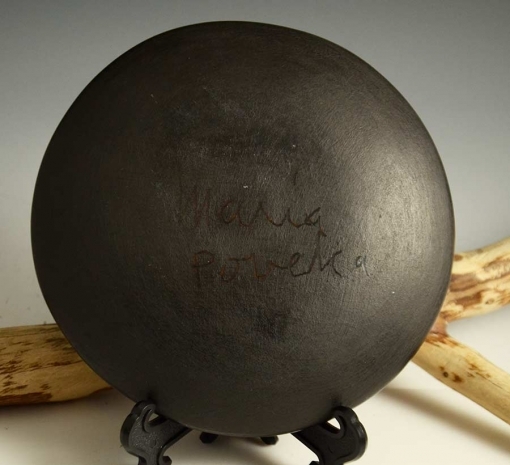 Maria and Julian began creating their famous black on black pottery around 1920, after Maria found some black on black pottery shards. 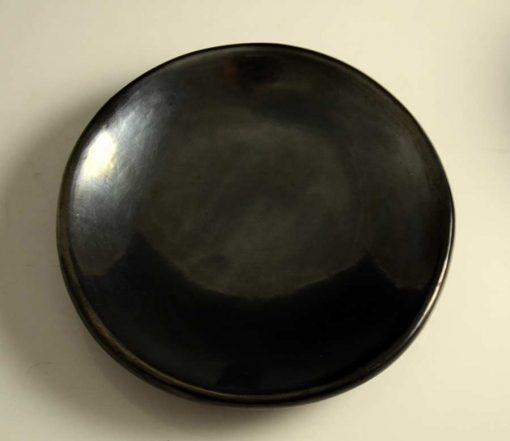 The black pottery has to be built, then slipped, polished and painted. It is finished using horse manure, which turns it black. Maria always built and polished the pottery, which was then painted by her husband, Julian. 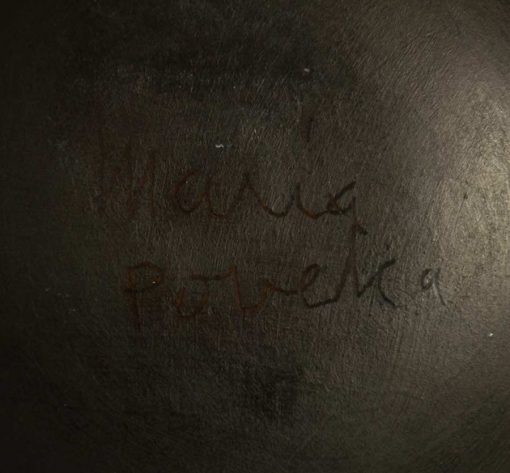 After Julian died in 1943, Maria worked with her daughter-in-law, Santana, then her son Popovi Da in the late 1950s. She then returned to working with Santana after Popovi Da’s death in 1971. She continued to work until her death in 1980. Excellent books to reference are Maria: The Potter of San Ildefonso by Alice Marriott (which will be included with this pot), Maria by Richard L. Spivey, and The Living Tradition of Maria Martinez by Susan Peterson.